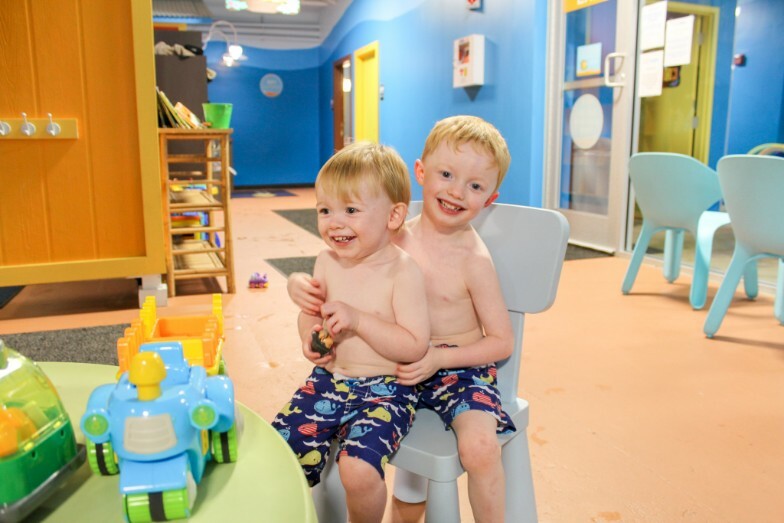 (Bee)autiful Blessings: 7 Reasons Why Goldfish Swim School is FIN-tastic for Working Parents! 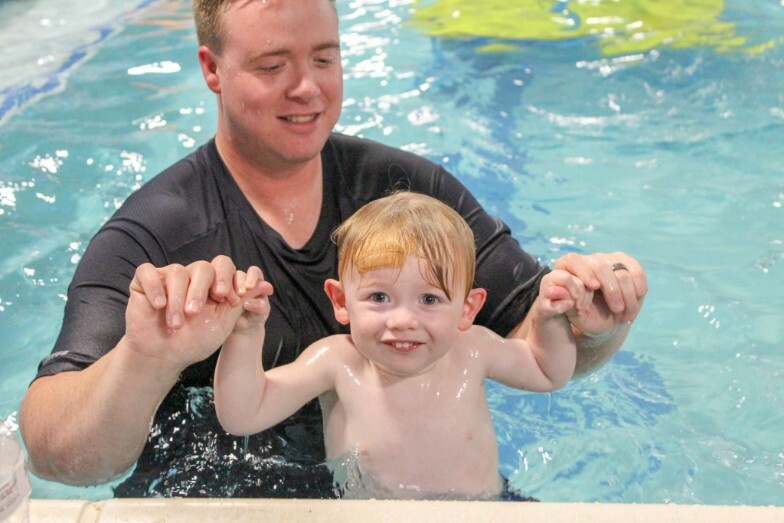 7 Reasons Why Goldfish Swim School is FIN-tastic for Working Parents! 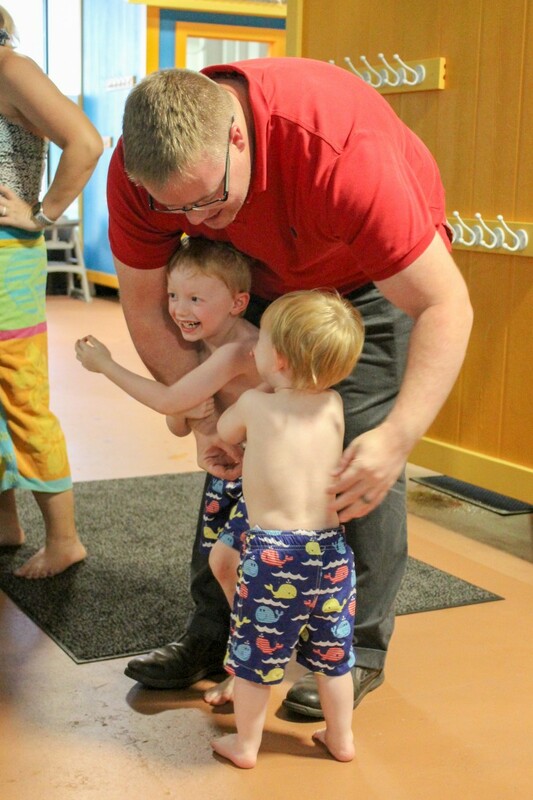 If you're a regular around here, you know we've been taking our boys to swim lessons at Goldfish Swim School-Dayton for over a year now and have loved every minute. We began lessons when I was a stay-at-home Mom and we had a lot of flexibility in our schedule. So when I went back to work full-time back in June, I wondered whether our weekly lessons would be sustainable. As our family's schedule got busier and more hectic, I worried that swim lessons would be just one more thing on our never-ending to-do list. I'm so happy that I can honestly say that hasn't been the case for us at all. Even with September and October being completely crazy months for our family, we've managed to keep regularly attending Charlie and Crosby's lessons without missing a beat! In fact, I have even more appreciation for everything they offer to both working and at-home parents. 1. 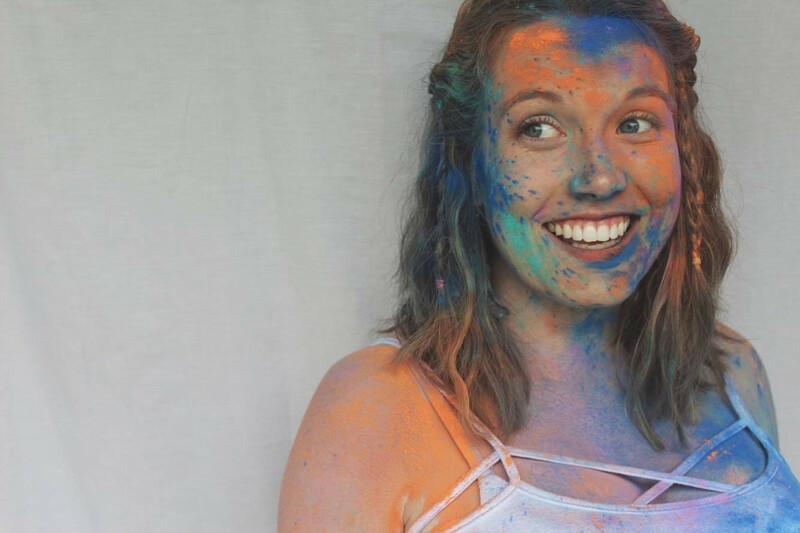 CLASS AVAILABILITY | No matter your work schedule, there is a class for you! Goldfish offers a huge array of class for all levels and ages throughout the week. We prefer their weekend classes, but we also take advantage of their weekday evening hours, as well! 2. RESCHEDULE POLICY | Goldfish gets that when it comes to kids, last-minute stuff always comes up. Which is why they offer a super accommodating reschedule policy- you're allowed 12 make-up lessons per year! 3. ONLINE SCHEDULING | So your kid is sick and you need to reschedule? Just login to your member profile and reschedule the lesson. You can also pay your balance, schedule a party, and browse all their available classes. It's so convenient for busy parents (or parents who find making phone calls to be the actual worst). 4. PARTICIPATION OPTIONS | If you've got teeny, tiny little ones- you have two options for classes. If you're a parent who works full-time and wants as much quality bonding time with your baby or toddler as possible, you can hop into the pool with your kiddo. If you're a parent who is exhausted after a long week, you can also opt to watch your child from the lobby window and get a 1/2 hour to rest before the chaos of dinner and bedtime. 5. IN-HOUSE SWIM STORE | Did you forget to grab your kid's swim bag on your way out the door? No problem! Goldfish has an in-house swim store stocked with all your swim lesson essentials- swim diapers, bathing suits, swim trunks, rash guards, goggles, towels and more. They've also got a snack bar for hungry swimmers and under-caffeinated parents! 6. SUPERSTAR STAFF | Simply put, Goldfish has the best staff ever. Did your toddler pee on the changing room floor? No sweat, they've got it covered. (Yes, that actually happened to me). I've also had a staff member offer to hold my baby so I could change my squirming toddler. The instant you walk in the door- they know your kids by name and each staff member is dedicated to their safety. I'm telling you- they're the best in the biz. 7. 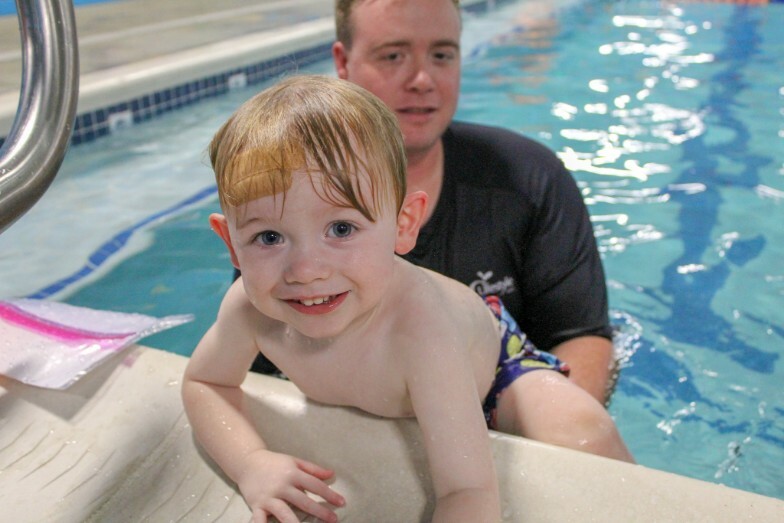 EVENTS AND EXTRACURRICULARS | Swim lessons are not all Goldfish offers. 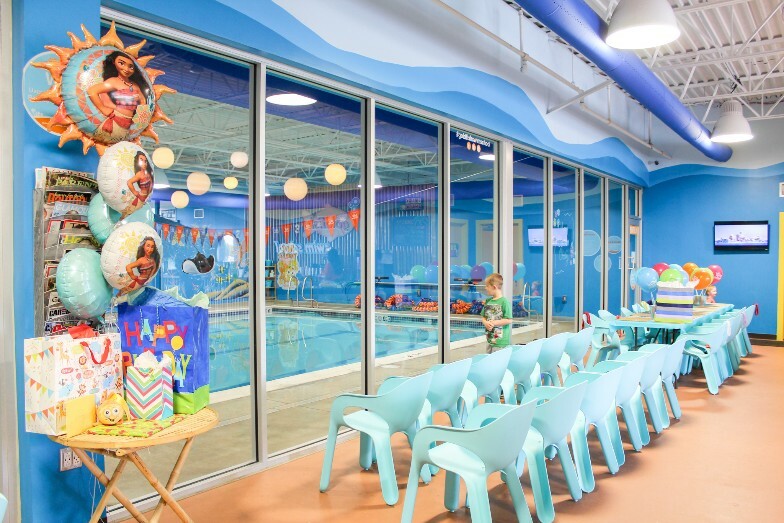 They also host family swims, special events, and birthday parties with a dedicated party planner. There are so many opportunities for working parents to get to partake in fun time with their littles and make working parenthood just a little less stressful. If you're a Dayton local (or if you have a Goldfish Swim School in your area), you don't need to be a member to join in on the fun. For a small fee, you can try out weekly Family Swim time or host a birthday pool party! Members and non-members are invited to join Goldfish Swim School-Dayton for a super fun fall activity- their annual Trunk-or-Treat on Friday, October 26. Don't miss out on this fun and kid-friendly event!